For over 100 years the gruelling Melbourne to Warrnambool cycling classic has been known for unearthing some of the best up-and-coming male cycling talents Australia has to offer. And in 2019, a small group of women will also tackle the 262 kilometre course searching for ‘Warrny’ glory. Former Road and Mountain Bike National Champion Peta Mullens will lead her international Roxsolt in the race including 18-year-old Sarah Gigante who stunned the professional peloton to win the elite women’s road national title earlier this month. “I’ve raced the Melbourne to Warrnambool just the once in 2010, but I didn’t finish it. It was a tad ambitious and attempted it the week after a 24hr MTB race and had to withdraw after 130km because of an inflamed knee. “When I asked the team if they’d be interested you could see them all spark up with feelings of excitement AND nerves, something they’d thought of doing before but were inspired by the idea of doing it together. “First and foremost I know that races like this teach you a lot about yourself so I know the girls will take something from this event regardless of the outcome. For Gigante, it will be the first time she has attempted a race of this length and comes after a rapid rise to the top of the sport during the last twelve months which saw her represent Australia at the junior road and track world championships. On top of her cycling commitments, Gigante also scored a perfect 99.99 ATAR. “I’m definitely looking forward to lining up on the start line in just one month! It’s such an iconic race, being the both one of the oldest and one of the longest one day cycling events in the world,” she said. “I’m really excited to try it out for the first time and see how my legs and my mind manage the distance. I’m pretty sure that the longest ever race that I’ve done so far was the Elite National Road Race Champs this month (104kms), and that was only a fraction of what the Warrny will be. “I’m sure that the race will be a huge challenge, and this aspect is what I’m looking forward to the most! “I’m not putting any pressure on myself with big goals like I usually do. It would be a hard race no matter what, but it will probably be even harder this time, because I am completely focusing my training on shorter events such as Oceania’s, rather than putting in really long hours to prepare for the Warrny specifically. 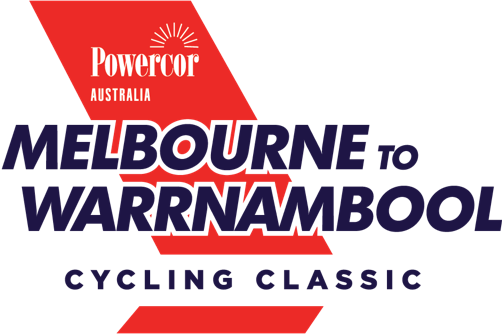 The 2019 Powercor Melbourne to Warrnambool starts at Avalon Airport and finishes on Raglan Parade in Warrnambool on Saturday, 16 February 2019.